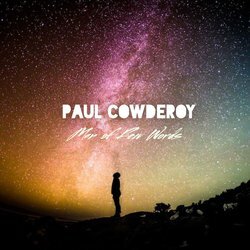 Paul Cowderoy is not your average musician. Hailing from Murwillumbah in northern New South Wales but calling the Sunshine Coast home, his career to date has been a roller-coaster ride of success. The Australian singer songwriter began his journey down the long, winding road of the music industry with a country-studded roar. Released in 2012, debut album "Now" acted as an enviable platform for the new star, gaining critical and commercial acclaim across his native Australia. His single “Coming Home” went on to win Cowderoy a coveted award at the 2012 International Songwriting Competition in the USA, and he bagged the Australian Country Music People’s Choice Award for Best Male Vocalist in 2013. To boot, now spawned several number one and Top Ten entries with rave reviews from Real Country Mix, ABC Country, Capital News, News Limited and many more. Teaming up with both Grammy Award winning producer and engineer Philip Allen (Adele - Someone Like You) and the Checked Label Services team, Paul is excited to take on his next challenge, the release of his Sophomore album "Wet Hessian Bag". Pauls Father's Day release shares an intimate look into his relationship with his dad, and life growing up on their sugar cane farm in New South Wales. Things weren't always easy, farming life was hard, and as the title suggests, his father battled on as a 'Man of Few Words'.